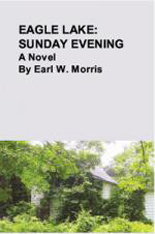 In a demon ridden southwestern Michigan township a rural preacher disappears in 1905. In 2000, Professor Tom Morgan tries with little success to find how and why. Meanwhile a mysterious man named Gerardo Salas solves the mystery. The teacher fearing arrest for a murder she did not commit escapes to the west. The apparent intervention of troublesome water demons caused hers and a string of other murders. Sharing information, Tom and Gerardo explain how and why.